A gift from the artist to the present owner's father, and by descent. 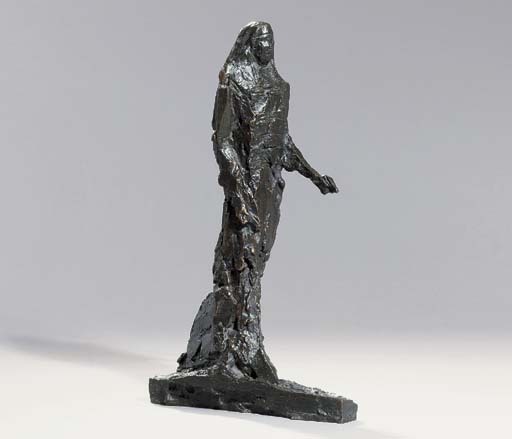 B. Robertson, Elisabeth Frink Sculpture, Salisbury, 1984, p. 195, no. 262, another cast illustrated. The present work is a maquette for Walking Madonna. For a note on Walking Madonna see lot 101.